Want to expand your smartphone or tablet internal storage but your device don't have a microSD slot? Because Kingston has launched its DataTraveler MicroDuo that allowing you to increase the storage of your gadget by up to 64GB. 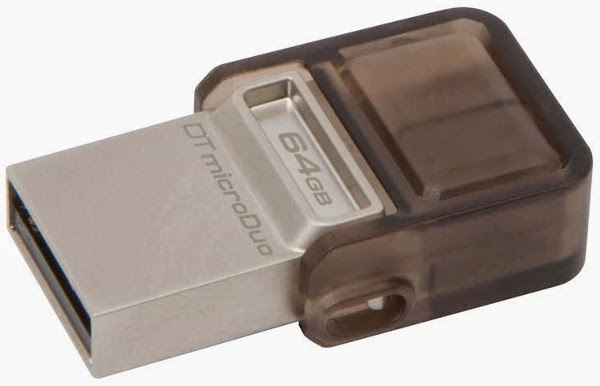 The Kingston DataTraveler MicroDuo is available in 8GB, 16GB, 32GB, and 64GB capacities and it is covered by a five-year warranty. The new drive can be used with any USB OTG compatible device.